OK. I’m done. I’ll get serious now. I was going to make a point: I just keep adding planting spaces! So far, Hubby had conceded, grudgingly; finally cautioning that I will take no more of his precious open yard space. I was shocked! I’ve encroached; we only have 1/2 an acre to work with, and pool and patio space is important too. However, in my defense, gardening plots are home improvements, right? I simply get carried away with using most of our curb appeal planting areas for useful plants. Silly me! No new plots for me, we’ll stick with the established garden plot plans for this year. Our focus will be on Gardens One thru Four, since they are the primary food and herb gardens. I do want to spend time on Gardens Six and Nine if time allows; I’ve got new flower seed to attract more beneficial insects. I also want to grow tobacco! Maybe that’ll win Hubby’s support. A few of the early plants will show up from last year in One, Two and Four, since a few of each garden item that bolted was allowed to go to seed. I’ll allow those volunteers to grow where they will, culling when necessary. This is a guaranteed option since I use only heirloom seeds. Our perennials will show up as well: hyssop, mint, lemon balm, lavender, oregano, tarragon, sage, chives, chard and wild onion. The wild seed starts will include plantain and wild violet in Gardens Three and Four. Garden One is lush and high in nitrogen. I plan to put tomatoes, corn, cantaloupe and pumpkin in this plot. Fill-in plants will include sunflower, marigolds, basil, alyssum, cilantro and dill. Garden Two is going to be the test garden. The large metal containers will border the west side (where that water trough is hiding in the background), leaving the main space to grow green beans and dry beans, peppers, onions, broccoli and cauliflower. 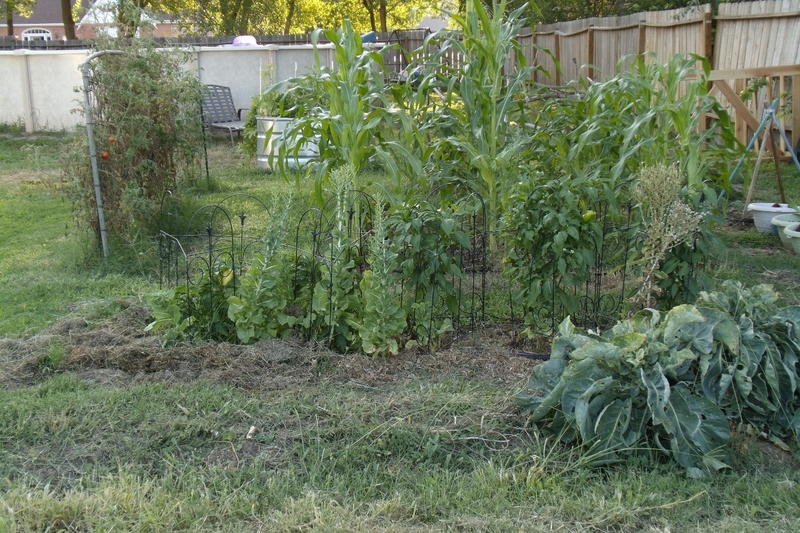 Garden Two is also the space most loved by the lambs quarters, and I’ll add sunflower, alyssum, cilantro and dill as well. Basil has self-seeded in this area also, and chamomile was started last year. I’ve asked Hubby to rescue salvaged wood that I plan to use to create raised beds. 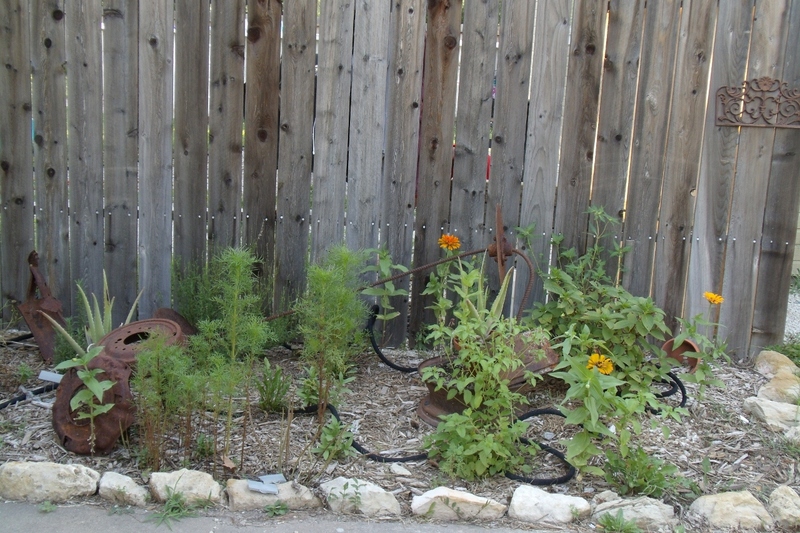 The drainage is poor in this garden and the quack grass, ragweed and bindweed are a constant threat. The raised beds will hold homemade ollas (we’ll share this project later), to assist with water needs; and soaker hoses will also be employed for additional moisture. I’ll start simple with the ollas, adding easy fill water lines if they prove beneficial for this area. I also want to start a small hugelkultur bed in Garden Two. We have excellent seasoned wood available, and I’m extremely curious about this gardening method. Potatoes may be an option, or winter onions. Garden Three plans include new starts of lavender and chamomile. I’ll retry thyme as well (it did extremely well two years in Garden Ten, but nothing since). The resin garden containers will be stationed here also. 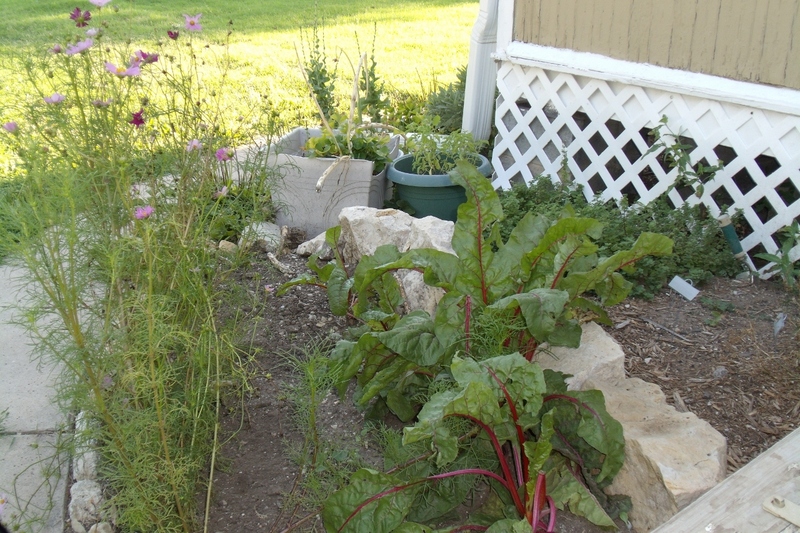 I expect to see regrowth of lettuce in this garden and will sow spinach here as well. Garden Four will be a test bed for flowers that attract beneficial insects. I expect that the snap dragons, zinnias and cosmos that went to seed will make an appearance as well. There it is. Easy peasy, right? Overall, my emphasis will be to grow companion plants together. 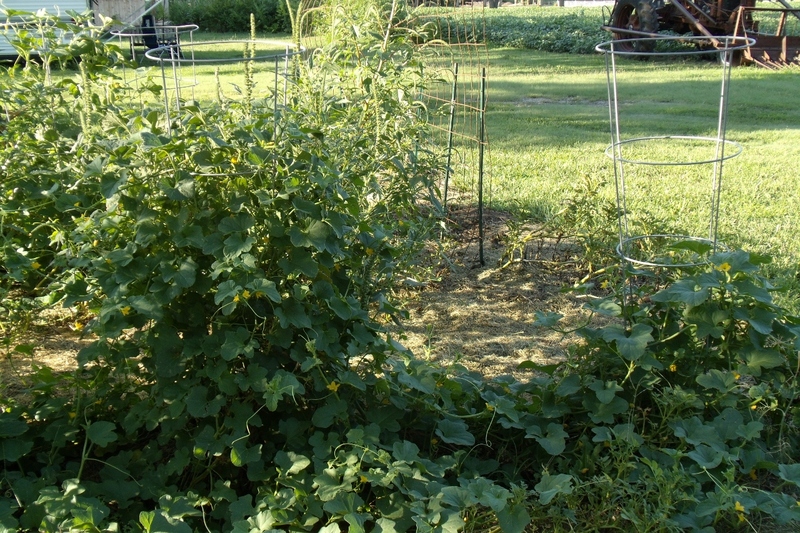 That’s why I have two main vegetable garden plots, keeping separate those plants that don’t play well together. Additionally, I’m working to attract beneficial insects, both in the vegetable gardens and in separate flower gardens. How are your garden plans? Are you itching to play in the dirt like I am?